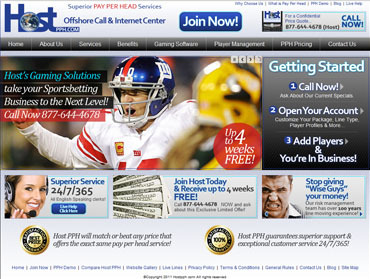 HostPPH.com is probably the most trusted name in the pay per head industry today. Established back in 1999 they were one of the first companies who recognized the need to provide local bookmakers from across the USA and around the world with exclusive wager outsourcing services for their players. 12 years later and still true to their roots, Host PPH has never dabbled in post-up business, considering it a conflict of interest to their primary focus of helping bookies manage their player packages and make them as much money as possible.